On the French Riviera: between Cannes and Monaco, via Antibes, Mougins, Nice, Saint-Jean Cap Ferrat and Beaulieu sur Mer. You live on the French Riviera : between Menton and St Tropez via Cannes, Monaco, Antibes, Mougins, Nice, Saint-Jean Cap Ferrat or Beaulieu sur Mer? Then we offer you several options for your children’s birthday, either at Eklabul or at home. 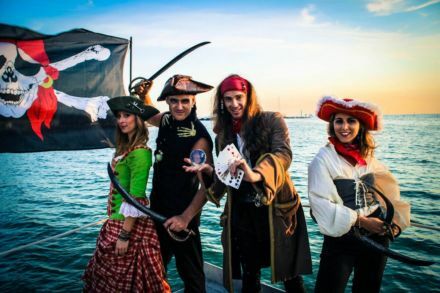 We offer a full range of entertainments going from outdoor activities to mini-parties with DJ; we also give shows or circus/magic initiations and many varied games on the thematic you wish… Whatever is the option you choose, Eklabul is at your disposal and accompanies you in the animation of your child’s birthday on the French Riviera. If you wish to organise your child’s birthday at home (Nice, Cannes, Antibes, Monaco, etc. ), we can come with our equipment, our animators and our ideas to your place to recreate an enchanted world. Discover the birthdays circus-themed in our room where your children will benefit from our infrastructures. 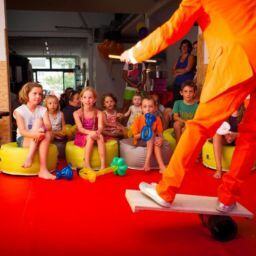 If you are looking for an entertainment for your child’s birthday in Nice, Cannes, Monaco, Antibes or their surroundings, Eklabul offers you the ideal setting for the celebration. We provide our circus room which includes a whole range of equipment and animation tools to make your child’s birthday party a success. 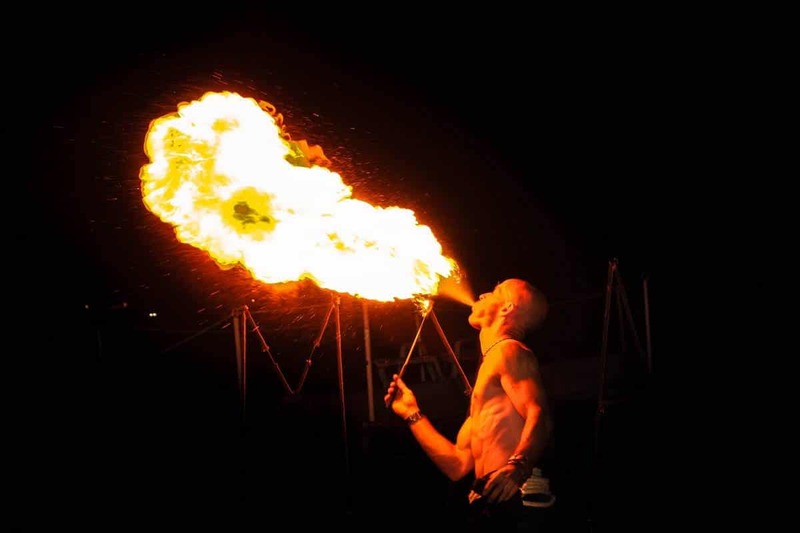 We will propose a themed birthday on the world of circus or magic… with animations and initiations, as well as shows or giant games and even a mini-boom. Our goal is that your child enjoys an environment conducive to awakening and fun activities. Discover our offer of birthday entertainments at home that will make your children happy! If you opt for your child’s birthday at home (Nice, Cannes, Antibes, Monaco, etc. 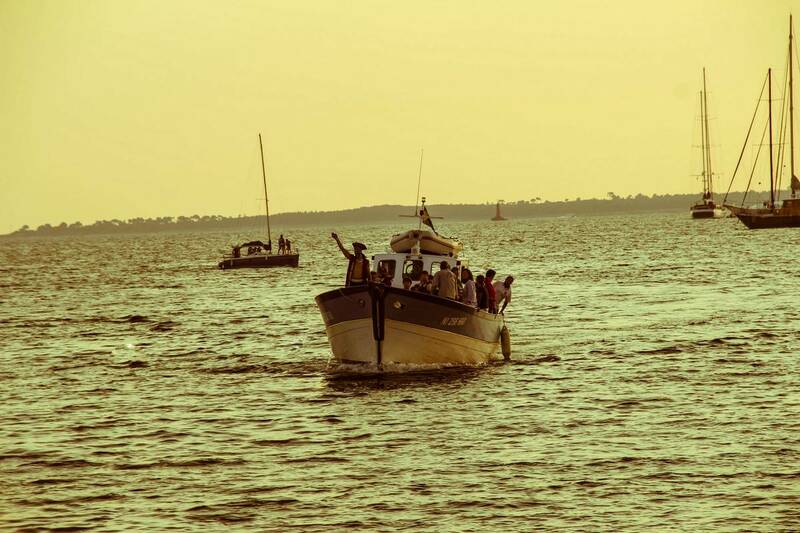 ), Eklabul has planned a whole range of activities to make your wishes come true. You can organise a surprise birthday party with a DJ that we make available to you, or a themed birthday according to your child’s wishes (cinema, pirates, harry potter, super heroes, star wars, princesses, adventurer,…) You can also enjoy our entertainment equipment in your garden and thus allow your children to live a dreamed birthday day with an enchanting landscape created especially for them. Choose among our activities the one that will make your child’s birthday unforgettable. 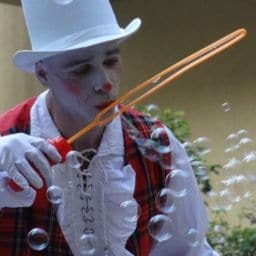 You can also enjoy circus activities at home. We organize a customized session with varied and adapted equipment according to the space you have… We prepare for your children a range of fun circus activities such as making juggling balls or balloon sculptures to recreate the atmosphere of our circus room, as well as various initiations such as juggling, or the setting up of balance equipment. They will thus be able to dream being circus artists during an afternoon. You will also have the choice between various options as the bouncy castle Circus or a trampoline, and why not a circus show at home? Your children will be amazed. Eklabul is full of shows for the little ones. Come and discover our range of shows for children. Eklabul offers many shows for your child’s birthday on the French Riviera: Cannes, Monaco, Antibes, Mougins, Nice, Saint-Jean Cap Ferrat, Beaulieu sur Mer or St Tropez. Many themes are proposed to you: from super heroes to haunted circus, circus, magic and various other comedy themes. Add to this show a room decoration according to the chosen atmosphere, or make-up, various animations and games for a complete panel of activities. Our birthday shows have a great reputation on the French Riviera and we will be proud to welcome you in our premises or to come to your home to propose them to you. 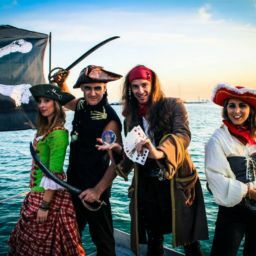 Contact us to create together your event on the theme you have chosen: pirates, princesses/knights, horror, circus, superheroes, etc… We will suggest you animations, games or shows related to the theme, and animators or artists dressed in unison. 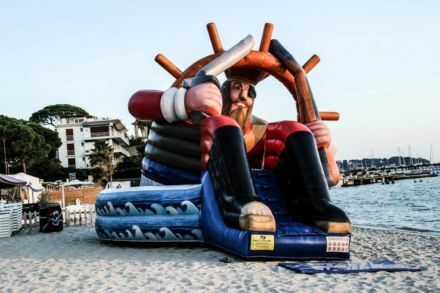 They probably dream of being pirates of the Caribbean… Offer him a treasure hunt on the pirate island with many activities on the way : balloon swords to carve or even events for pirates’ training such as boarding. They will enjoy the pirate-themed bouncy castle and many costumes that go with it… all proposed by our entertainers dressed in real pirates !